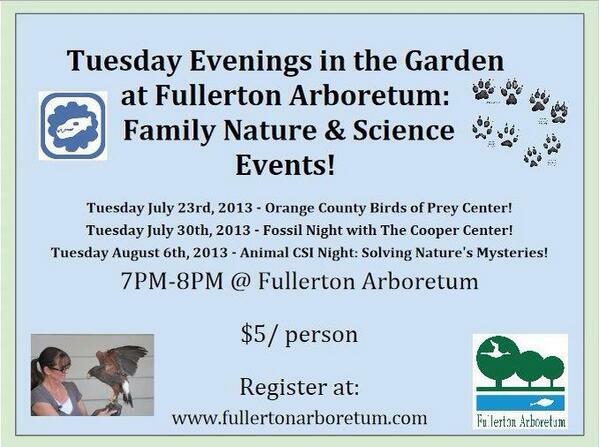 Tuesday Evenings in the Garden family nature & science series starts 7/23 at Fullerton Arboretum. Sign up today! Get up close and personal with hawks, owls and falcons! Fun for the whole family!